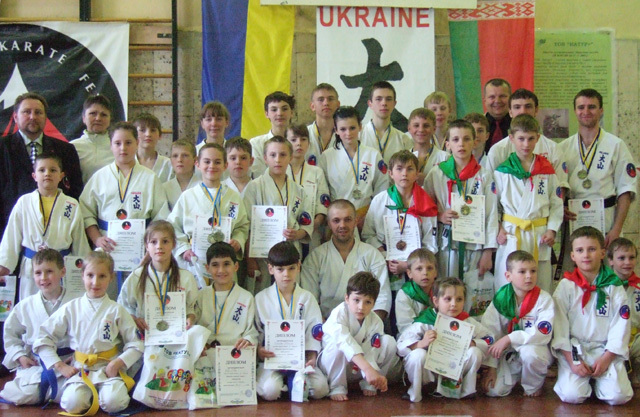 The 3rd Open Ukraine OYAMA Karate Kata Championships took place in Kiev. 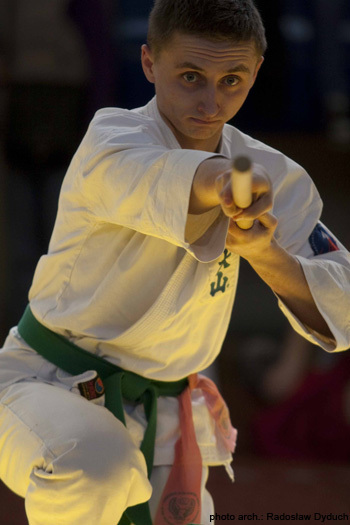 The tournament was organized by Sensei Bogdan Petrenko the Country Representative in Ukraine. Sensei Igor Yurkevich OYAMA IKF Country Representative in Belarus, Sensei Alexei Burdyka Branch Chief in Gomel region, Sensei Iryna Petrenko the Branch Chief in Gostomel region and Sensei Mihail Rovkach the Branch Chief in Vitebsk were also present during the competition.The Championships were at very good sports level ! 1. Mandalyna Paul Str. Ukraine. 2. Dmytruk Dmytro, Kiev, Ukraine. 3. Goncharenko Dmitry Str. Ukraine. 1. Loot John Str. Ukraine. 3. Senyshev Cyril, Kiev, Ukraine. 1. Zenkov Nazar, Zhlobin, Belarus. 2. Vabyschevych Andrew, Stolyn, Belarus. 3. Myksha Vladislav, Zhlobin, Belarus. 1. Babich Anna Str. Ukraine. 2. Anastasia Kubrak, Kiev, Ukraine. 3. Strateychuk Iulia, Str. Ukraine. 1. Egor Pashkevich, Stolyn, Belarus. 2. Eysmunt Anastasia Str. Ukraine. 3. Tarasevich Roma Stolyn, Belarus. 1. Eysmunt Anastasia Str. Ukraine. 2. Dmytruk Anastasia, Kiev, Ukraine. 1. Rovkach Michael, Vitebsk, Belarus. 2. Tikhon Nicholas, David, Gorodok, Belarus. 3. Astapov Michael, Zhlobin, Belarus. 2. Tikhon Nicholas, David-Gorodok, Belarus.